The encrypted file clipboard abylon SHAREDDRIVE is shown in the MS File Explorer on the desktop level and protect your secret files. The complete integration into the Explorer environment simplify using of the software. The encryption and decryption with the e.g. AES algorithm is done for each file operation automatically in the background. The file-based structure allow the simultaneous access of several users and reduce the backup data transfer volume. The encrypted files can be stored on local or a network computer. Security is increased by masking the file names. As access-key a password, a smart card, a removable media or a CD/DVD can be use to open the SHAREDDRIVE. 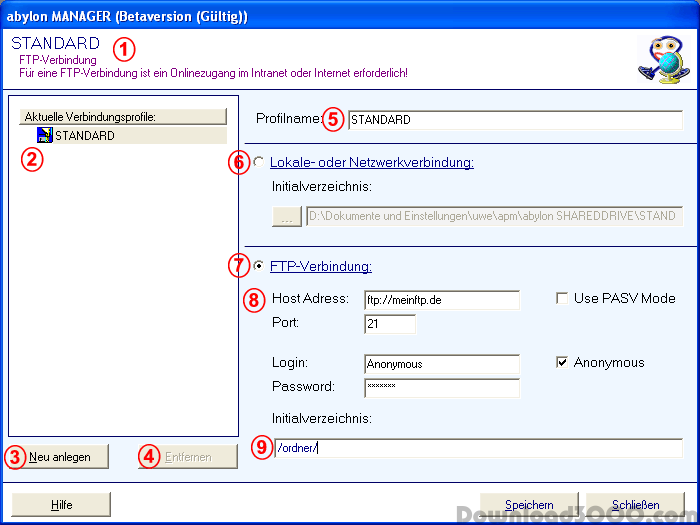 In companies for the access authorization the use of X.509 certificates (HYBRID-System, PKCS, RSA) are supported. Real-time backup solution for servers. Pen Drives and Memory Stick File Recovery!